The Naval Families Federation was delighted to host Andrew Selous MP, Prof Jan Walker and more than a dozen of serving personnel and Service spouses and partners today (4th April 19) at our offices in HMS Excellent. Andrew Selous MP has been asked by Defence Secretary Gavin Williamson to produce an independent report to capture the needs of Service families. Key issues identified can help influence existing and future policies to help improve support available to families. Mr Selous and his report team are keen to hear from spouses and partners as well as children and dependents of those who are currently serving or have recently left the Service. During a visit to Royal Navy and Royal Marines agencies in Portsmouth today, Mr Selous and Prof Walker, lead adviser of the report team, joined us at our offices in HMS Excellent to meet with Naval Service family members. During the meeting, they chatted to spouses and partners about their lived experience, gathering evidence in different areas of concern to help understand the issues families face. One of the issues raised during this meeting was housing. Some of the families at the meeting live in Service Family Accommodation, and they told Mr Selous about living conditions, as well as suggestions on how things could be improved. Another issue discussed included childcare and education; there were questions about the use of Service Pupil Premium and concerns were raised about the cost of childcare and its relation to spousal employment. Finally, there was a discussion on health care and the Armed Forces Covenant. It was pointed out that accessing health services could be a challenge for those moving to a different assignment, and how the Covenant could help educate local GPs and dental clinics on this issue. The report will be published this summer, and might provide the impetus for a further review on wider government and public-sector provision. If you have missed the opportunity to submit evidence, please do contact us, as we would like to hear from you. 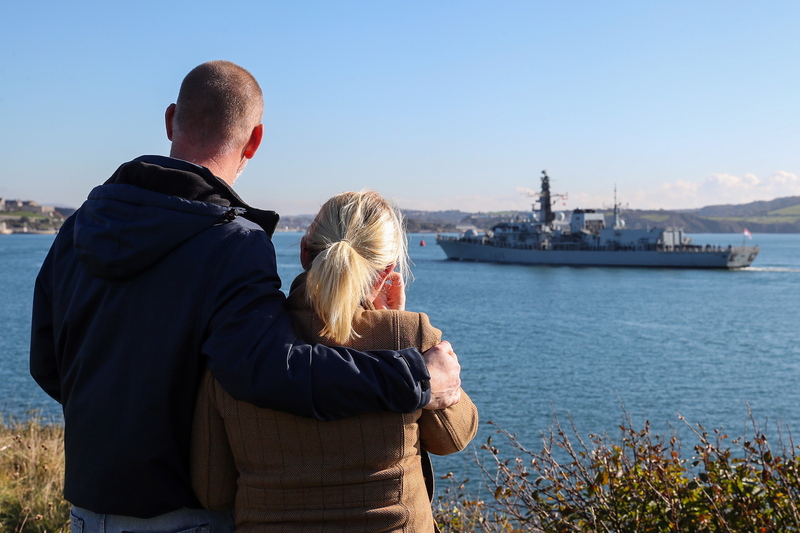 The NFF exists to give all serving Royal Navy and Royal Marines personnel and their families the opportunity to have their views heard by those in positions of power, and we can challenge policy on your behalf.